As the media landscape shifts in the digital age, established brands are navigating the transition into social media and online content with new talent and changes in format. With “Comfort Nation,” Food Network has ventured into an online-exclusive property, and was met with wide success. The Travel Video Awards spoke with producer Catriona Stuart about brand development, and how food is helping drive global travel. 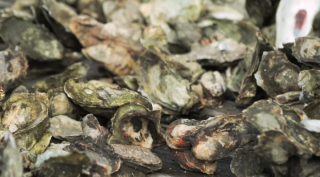 What is the approach and goal of the “Traditional Gullah Oyster Roast” video? How does it interact with the larger Food Network/Discovery brand? Catriona Stuart: Everyone loves comfort food! It reminds us of home, it’s the food we sit down to at barbeques and birthdays or family gatherings. We know our audience loves it too, but we wanted to explore the places where our most popular comfort foods come from. That led us to the South and some traditional dishes that have stood the test of time: fried chicken, shrimp and grits or étouffée, for example. 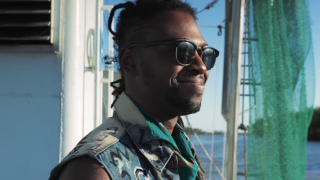 As one of our Lifestyle experts, Lazarus Lynch was the perfect person to take us there. He is the son of a southern chef and although a chef himself, he embodies the approachable style that is at the core of our brands. He loves food and here, she showcases just how it brings us all together. CS: Through our site, apps, and social channels like Facebook, Instagram, YouTube, and Snapchat Discover, Food Network’s digital audience spans the gamut of audiences aged 18-54. We take a multi-platform approach to producing content and our team of producers are always asking ourselves how we can best tell our stories on each platform. What trends do you see in how and where people travel? CS: In our collaborations with the Travel Channel, we know that more and people, people travel to eat. They want the authentic Chicago deep dish or the newest Insta-worthy ice cream creation in Los Angeles. We’re always listening to what our audience is talking about, and frankly, the food trends that get us excited no matter where they are in the country. What is your selection process like when choosing destinations and partners to work with? Are you involved in the development of the video itself? CS: The benefit of having multiple publishing platforms is that we have a ton of data to choose from. We mine that for information on where our audiences live and what destinations they are excited about. When we combine that data with our keen editorial eyes, we can often come up with a winning formula. As much as possible, we want to choose partners to work with who are local to where we want to produce. Not only does that save us on production costs, but there’s something to be said for adding another layer of local knowledge to the production process. CS: We are intimately involved in the development process and the keyword here is ‘data.’ Once we have a data-driven framework for finding our stories, we will often rely on a production partner to help us fill in the blanks. CS: This is a nuanced question. At the start of every video project I define a few things for my producers: why are we doing this video, what platform is the main priority, and what are our goals. The answers to those questions will largely define success. CS: This was one of the very first shows we produced to run primarily on Facebook Watch and we were very happy with the results. This episode has over 2.4 million views on Facebook alone and, more importantly, it really got our audience talking in comments. But some of the other episodes did even better. We wanted to stoke the conversation here and it was a great success. CS: As the Food Network, there are so many ways for consumers to interact with us. They cook our recipes, watch our linear television network, and chat with our digital talent. We want to be a daily part of their lives and meet them from the breakfast to the dinner table. What role does video content play in your overall marketing and brand strategy? 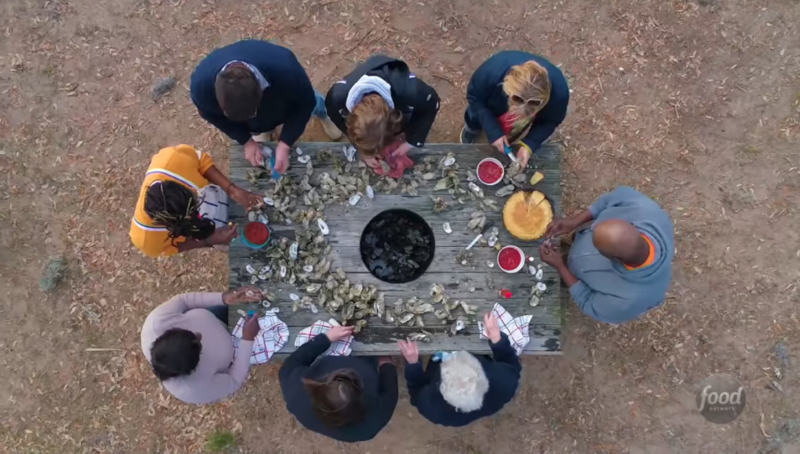 CS: Ultimately, our digital shows reintroduce the Food Network brand to younger audiences who are consuming a variety of content online, so the success of the show itself helps feed the positive brand perception among audiences that are key for us. Everyone eats every day, so our job with video content, whether it is through mid-form digital original shows, companion series to linear tv, or through short-form recipe videos, is to meet people where they are and keep the Food Network brand top-of-mind when people are thinking about food.